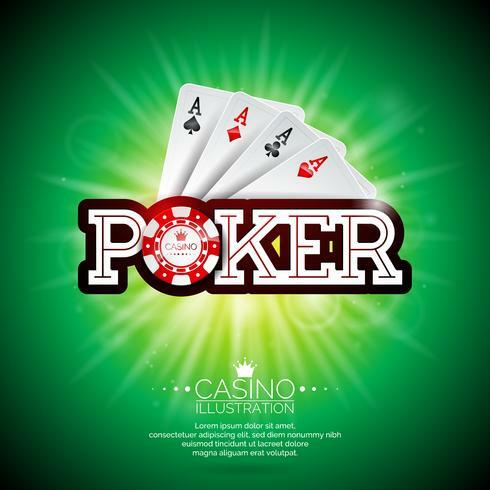 casino theme Illustration with playing cards and poker typography on green background. 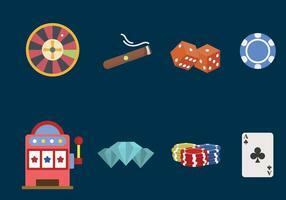 Vector illustration on a casino theme with gambling elements on red background. 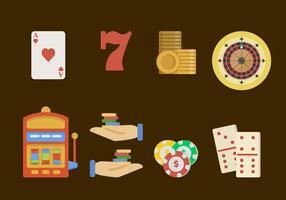 Vector illustration on a casino theme with poker symbols and poker cards on dark background. 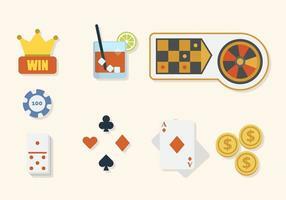 Vector illustration on a casino theme with poker card and chips. Vector illustration on a casino theme with color playing chips and roulette wheel on green background.